The one thing I like about this spreadsheet is it allows you to put in the cash flows across a month. And you can look at them by category, you roll them up, you can do projections on cash flow. You can actually add in there expenses if you want it to. I don’t do that. But you can actually do that if it’s better for you. I’m not saying this is a replacement for your Quickbooks or anything like that, but if you’re looking at your income, if you’re looking at different categories of income and you’re creating some type of milestones across quarters, across months, then you can actually do that much easier through the spreadsheet than you can through QuickBooks or something like that. So that’s the document that I give for that. I wanted to talk about getting more clarity about what you’re doing. And I’m gonna go and give away a couple of chapters of my book. I think you should get the whole book if you really want to get really clear about where you are and where you’re going. But if you want the two chapters in my book, they’re on this page and all you have to do is download them. If you do read the book, I would appreciate, or if you’ve already read the book, give me an Amazon rating review. That would be really helpful to get more people to notice the value of this book. So just a little plug there for the book. Hyper-productivity is really about your time. It’s about creating time and about the tools that you could use to create more time. Now, I’m not saying you’re going to make more minutes in the day, because we all have the same number of minutes each day, but what I am saying is, I want you to be very intentional about how you spend your time. 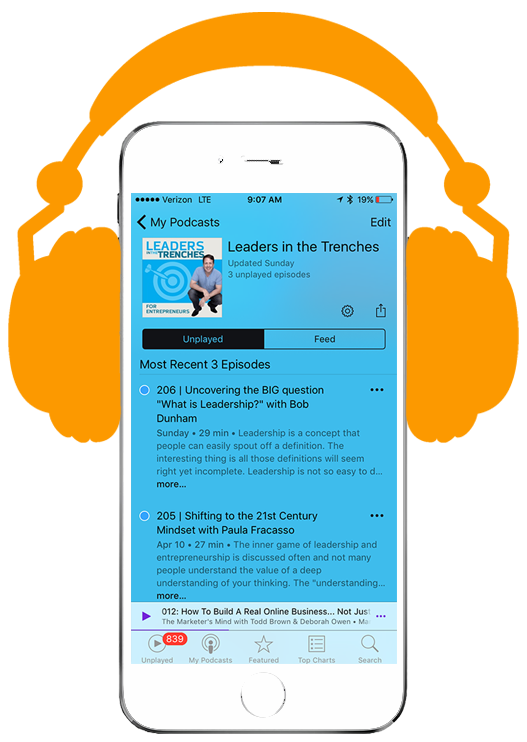 With the 400 interviews across this amazing podcast, I’ve interviewed a lot of great people, a lot of great insights. And so I took the very three best interviews I had around time, and I put them into three different tools that you can use to really give yourself more perspective of how you spend your time. So all you have to do is use the hyper-productivity guide and it’s absolutely free. I use the structure inside this to revamp my system to be able to write the book, The Time. I used it to revamp the systems I did last year. A lot of the stuff goes into this. I’ve talked a lot about vision and mission for your life and your business, and I really think how important it is to have something to guide you through it. So I’ve put together worksheets for my clients, and this probably about 12, 15 different questions. You can print them out. You have the space to actually write on the pages. I suggest to write them by hand. Don’t type out this vision. Really sit down and really think about what you want to create, who you wanna work with, and all the questions that go into your mission and vision so that you can be really clear about that. Alright, more leads. If you want more leads on your website, then I put this long time together. I wouldn’t say it’s dated, because it’s very powerful. Most people don’t put together a tool for opt-ins much like this, so walk you through what works and what’s not working. And you can download that right there. Your own workshops. I do a lot of workshops where I’ll bring in six, eight different leaders or founders into a conversation, and that could be all day long workshops. It could be half day, but I’ll give you a checklist of how do you actually go about doing that. It’s kinda like, it orders you through it. It guides you through some of the decisions you have to make. So if you want to put together that, it’s a great way to grow your business if you wanna bring in people that are potential clients and give them some value and get that checklist right there. More speaking events. If you wanna be a little bit more like me and what I’m doing and speaking in bigger stages, then I encourage you to use the tools I have right here to get more speaking gigs. So the top 10 priorities for event planners, you just download that. Really is for 59 interviews with meeting planners that you can go out there and figure out exactly how to reach out to them by avoiding the mistakes that most people make in reaching out to this. And this works really, really well if you’re in an industry that’s very competitive. If you’re in a place where you maybe don’t wanna be a professional speaker like me. But maybe you’ve got an industry association you’d like to speak at, and you wanna make sure you do a really good job with that. You can download not only the temporaries but the research I have with meeting planners and that’s available to you. The five email templates. I hope these are updated. If someone sees this, let me know. But I don’t think that you’re going to be able to send out one well-worded email to allow you to get more speaking engagements. It just doesn’t work that way anymore. It’s very difficult, unless you’re a celebrity. If you’re a well-known name, then you can actually do that. But if you wanna get speaking engagements, you wanna use these templates. There’s different reasons for reaching out to people and how you reach out to them, this will give you a little guide for that. If you’re looking for just to get some experience speaking in your city, I’ve got the 25 speaking engagements in your city. So it’s just a tool that you can use to give you ideas about where to speak in your city. So I live in Atlanta, Georgia. The examples I give are from Atlanta, but they work for any major city across the world. There’s also a speaker toolkit. What do you need to know to be able to get, to be prepared for the conversations you have? That speaker toolkit, if you download that, it’ll be right there for you. And now, let’s move into the podcast. What does it take to create a podcast? And what is the systems to create this? I think that you should create something unique out there. You don’t use a framework that you borrow from someone else, even if they’re very successful. It may not work for you and your industry. I saw many people copy people. I’ve tried to make this uniquely mine. I’ve only changed a few things over the years, but it’s been almost 400 episodes in four years. And so I give you all my tools. This is the electronics, the microphone, the applications I use and there’s a podcast that goes along with this. I call the Power of Podcasting which really is about the way I put together the structure of the show. Things have changed a little bit since then, but still valuable. Might help you there. You can go to a free training called The Podcast System. And I can give you what you need. Now, let’s switch gears into get published training. So you know that I write for Ink Magazine and Astronaut Magazine in some of these other places. And I’ve been writing for about four years now. And it really is a big part of sharing my message and building the credibility and authority of who I am and what I do. But I’ve been doing this. And so I created a free training called Get Published training. I think you can just go in and just access those tools. I figured out what you need to know and all the examples to get published. So there, that is the authority gap. I talk about what are the different strategies you can do to raise your level of authority for your company? And if you’re a founder and you don’t wanna do this yourself, you can actually give this to your marketing manager and say, let’s map out the most powerful for us. And so this gives you a really good idea. So the worksheets are included there. And there’s also the ultimate guide to authority, and that really is about you being seen as a thought leader and all of those things. The only other thing that’s missing is the culture scorecard, which really is, if you go to genehammett.com/culture, you’ll be able to download that. And it really is a tool that you can not only use to give yourself some insight on where the culture is but you can actually share that with your employees. You can all do it together, and you can actually figure what that is right away. So that’s my take today. These are the free growth tools to really reposition your business. Hopefully, you’ve find some value, insight here. There’s a ton of stuff that I’m doing for free. I put it all together in this one place. Just go to genehammett.com/free and you can find out all of those tools. Just look through there and download what you want. You can get ’em all or get just one or two and just let me know how they’re working for you. If you find something that needs to be updated, make sure you reach out. If we can, maybe I can just send you a new update behind that. Some of the things are not as fresh as it could be because I don’t use them as much inside my business. I’ve grown past them. But depending on where you are, you maybe able to appreciate these growth tools. Alright, that’s my take today. As always, live with courage. Why do I say live with courage? Lead with courage and I’ll talk to you next time.